The Liberals, naturally, are out of the question. They have governed this province horrendously through 16 years of the wrong kind of class warfare, slashing education and social services, offering up more for wealthy donors than for regular people or the natural environment. True, former premier Gordon Campbell showed genuine concern for climate change for about 15 minutes back in 2008, but his successor Christy Clark froze BC’s paltry carbon tax at $30 per tonne and weakened her predecessor’s clean energy regulations in service of her pie-in-the-sky LNG dreams. As for the NDP, the kindest thing one can say is that they are not the Liberals. Leader John Horgan, in an attempt to appeal to both the labour and the environmental wings of his party, is pledging to raise the carbon tax to the level required by the federal government, but to do so at a marginally faster pace than will the BC Liberals. The party favours some LNG projects and not others. It is strongly opposed to Kinder Morgan’s Trans Mountain pipeline expansion, while it straddles the fence on the Site C dam. The NDP represents the province’s best shot at effecting a change in government, yet this does not in itself constitute sufficient reason to vote for them. To cast one’s ballot “strategically” lets mediocre parties off the hook for their mediocrities and sets the stage for a race-to-the-bottom-style proliferation of inadequate policy. Progressives must demand more from the NDP, insisting that our support be earned, not taken for granted. Which brings us to the Greens, the party perennially on the verge of either breakthrough or irrelevance, never quite reaching either. Unsurprisingly, the Greens have by far the most environmentally sound platform — and probably the most progressive one too. They promise to raise the carbon tax to an eventual target of $70 per tonne — $20 above the federal requirement — and to expand it to cover some emissions not currently priced. Party leader Andrew Weaver has been a lone voice of reason in the Legislature opposed to LNG development, and he rejects the approval of any new fossil fuel infrastructure. On the social front, the Green Party matches the NDP’s promise on raising corporate taxes, while surpassing them on personal income tax hikes for the wealthy. Income assistance rates would be higher under a Green government than under either other major party. Both the NDP and the Greens have some worthy, albeit incomplete, ideas on housing, and while NDP child care policy presents a good deal more detail, the Greens have one-upped them on affordability. Boasting the largest increases to both spending and revenue, Greens distinguish themselves as the party of what is ominously referred to in right-wing circles as “big government.” While their rivals promise to keep budgets in the black, the Greens pledge only to balance the books on average over a four-year term, allowing deficits to occur during individual years. Where the Greens start to falter is not so much in their platform as in their leader. Weaver is an accomplished climate scientist and former lead author on several IPCC reports. When he speaks, people rightly listen. But his stature suffered when, during his term as MLA, he bewilderingly voted for two Liberal government budgets. Like many Green voters, I could not help but wonder what he was thinking. Was it a matter of deep-seated conviction on his part? Or of wanting to “do politics differently,” as he nebulously claimed in the moment? Did he simply wish to ingratiate himself to whoever happened to be in government? Add to this his strange infatuation with private power and his criticism of the NDP’s equity policy on candidate nominations, and it is not clear that Weaver is capable of walking his party’s progressive talk. Furthermore, the stakes are particularly high in the current election, in which the Greens are polling unusually well for a third party, while the Liberals and NDP wage a closely fought battle for first place. If no party gets a majority in the Legislature, who would Weaver and his potential caucus-mates throw their support behind for premier? For my part, I plan, with some reservation, to risk another vote for the Greens on May 9, premised on the possibly flawed assumption that an NDP-Green alignment makes more sense than a Liberal-Green one. Two budgets aside, Weaver has voted with the NDP far more often than he has with the Liberals, and he stated in 2013 that he would prefer an NDP to a Liberal government. However, I understand that others, including many whose opinions I deeply respect, might make their calculations differently. Weaver is a bit of a gamble. Under the circumstances, I cannot blame anyone for casting a safe — albeit uninspiring — vote for the NDP. In the midst of a campaign dominated by horse races and attack ads, by fear and scandal and appeals to our basest political instincts, it is easy to forget that elections are meant above all to be about policy. Which party offers the kindest, most equitable, and most sustainable vision for the country? The answer, in my opinion, is clear. Here I present six important ways that the Green Party of Canada is the most progressive of our major national parties. Climate change is the defining challenge of our generation, one that is inextricably linked to our well-being and survival, yet politicians typically treat it as some trifling matter to be addressed only when there is nothing more pressing on the agenda. For the Green Party, however, climate considerations are central. The party’s platform calls for Canada’s greenhouse gas emissions to be reduced to 40 per cent below 2005 levels by 2025 and 80 per cent below 1990 levels by 2050. Vision Green, the party’s in-depth policy document, speaks of even steeper reductions. Much of the heavy lifting for this program of cuts would be performed by a carbon fee and dividend system (a form of carbon tax), set at the admittedly paltry rate of $30 per tonne, but projected to rise over time. The only other party calling for a federal price on carbon is the NDP, but its cap-and-trade policy is sorely lacking in detail. There is no way of knowing, based on the information thus far provided, how stringent or comprehensive the NDP plan would be. On pipelines, Liberals and New Democrats, to their credit, both oppose Northern Gateway, but they can’t seem to make up their minds on Trans Mountain and Energy East. The Liberals support Keystone XL, while the NDP rejects it. Only the Greens take a principled stance against all pipelines meant to export raw bitumen, pledging to halt oil sands expansion and to shift our economy towards renewable energy and sustainable jobs. While reasonable questions can be raised about the Green Party’s insistence on revenue neutrality when it comes to carbon taxes, there is no doubt that its fee and dividend plan is on balance progressive. Revenue produced by the “fee” is meant to be returned to all Canadians as an equal per capita “dividend.” Since people with low incomes would pay less on average than those with high incomes (due to lower greenhouse gas emissions), they would tend to get more out of the system than they put into it. The result would be a modest redistribution from rich to poor. Additionally, the Greens pledge in their budget overview to eliminate income taxes on those making less than $20,000 per year, to reintroduce a tax on inheritances greater than $1,000,000, and to raise the corporate rate from 15 to 19 per cent (leapfrogging the NDP’s 17 per cent). 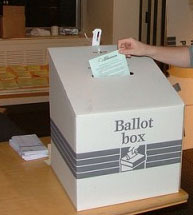 Some of the projected increase in revenue would go towards the party’s vaunted Guaranteed Livable Income (also known as a negative income tax), a proposed increase to and consolidation of various federal and provincial assistance programs aimed at ensuring that no Canadian lives in poverty. In an era when the battle against free trade and investor protection agreements has largely been abandoned, the Greens are the only major party still willing to fight the good fight. The Liberal Party has supported trade liberalization treaties ever since notoriously breaking its 1993 election promise to pull Canada out of NAFTA. Even the NDP, in recent years, has dropped its principled opposition, preferring to assess trade agreements on a case-by-case basis (yes to Jordan and South Korea, maybe to CETA, no to the recently signed TPP). The Greens, by contrast, stand unequivocally on the side of fair rather than free trade. Party leader Elizabeth May has been one of the country’s most passionate voices in opposition to the FIPA with China. Vision Green even goes so far as to suggest providing the requisite six months’ notice to withdraw from NAFTA as a means of pushing for renegotiation on more favourable terms. Dozens of countries around the globe, across both the developed and the developing world, offer free post-secondary education. For the most part, this is considered a non-starter here in Canada. Alas, it is once again only the Greens who favour the complete abolition of tuition fees. They also promise to cancel existing student debts over $10,000. Non-violence is one of the six fundamental principles of the Green Party of Canada. The principle was put on dramatic display in 2011 when, barely a month after she was elected, Elizabeth May took a stand in the House of Commons, providing a lone vote of dissent against Canada’s continued participation in NATO’s war on Libya. Given the ongoing disaster still unfolding as a result of our intervention, May’s foresight deserves be acknowledged. None of this prevents the party from speaking the language of “smart growth” and “sustainable growth” when convenient. Perhaps this apparent contradiction reflects a distinction between short-term and long-term objectives. Nevertheless, in the current political climate, any willingness to broach the subject of limits to growth is a rare feat. The Greens are not perfect on every issue. Regrettably, it is only the Liberals who favour a rise in the personal tax rates of the top one per cent. And the NDP, in addition to having a more fleshed-out child care policy, has set a short-term greenhouse gas reduction target that is marginally more ambitious than the Green Party’s. However, on most issues, Elizabeth May and her running mates occupy a place in the political landscape that we would be foolish to overlook. To expect them simply to disappear — to roll over and die in the face of deliberate mischaracterizations and short-sighted appeals to strategic voting — is neither realistic nor desirable. They fill a hole in the national conversation and challenge us to demand more from other parties. This posts appears on rabble.ca. A few days ago, former BC NDP premier Dan Miller had an op-ed in The Vancouver Sun in which he criticized his party’s insufficient enthusiasm on resource development. As regular readers of this blog may be aware, I take a slightly different point of view. Please see here for my response letter in today’s Sun (second from the bottom), in which I briefly discuss the environment and the economy. For all my political ideals and self-conceptualizations, I cannot for the life of me seem to get myself more than superficially interested in the scandals that plague the holders of public office. The Rob Ford crack video hubbub is a case in point. Yes, it is funny. Yes, there is hardly a politico more deserving of being knocked down a peg. And now, with even Ford’s brother being brought in on the fun with allegations of a drug dealing past, the entire country seems to be locked in the grips of an overpowering case of SchadenFord (no, I am not the first to think that one up). 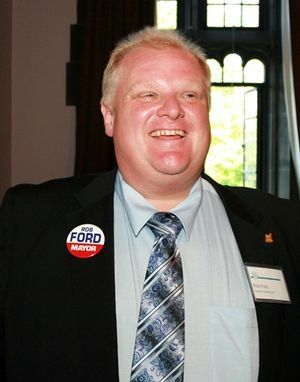 Yet there is something disturbing in the idea that for all the regressive initiatives embraced by Ford during his two-and-a-half years as Toronto Mayor — for all his ill-advised crusades against labour, cyclists, libraries, and transit — it is the as yet unproven crack video, surely the least of his transgressions, that now threatens to do him in. A similar point can be made about the Senate expenses scandal currently underway in Ottawa. True, this one is different from the crack case insofar as it involves the misuse of public funds, but if we focus solely on the “bad apples” like Wallin and Duffy and Harb and Brazeau, then we lose sight of the wider issue, namely the culture of entitlement inherent in an unelected upper chamber that makes the cultivation of such bad apples practically inevitable. The NDP is taking the enlightened position with respect to this scandal — criticizing the individuals involved, yes, but also connecting them to something more profound, more systemic, taking the opportunity to renew its longstanding call to abolish the Senate entirely. And that, precisely, is what’s missing from most scandalmongering, defined as it is by an overemphasis on personalities and an underemphasis on institutions. The Fords and the Duffys of the world, entertaining though they are, do not affect us nearly as deeply as the offices they hold and the policies they implement. Of course those who do wrong deserve to be punished, but the news coverage generated by these individual wrongdoings are completely out of proportion to their true impacts. We’d do a lot better focusing on what really matters. In a stunning upset of “Dewey Defeats Truman” proportions, the BC Liberals have defied all the polls save one and returned to power with a fourth straight majority government. No doubt, there will be much soul searching and wound licking over the coming weeks. I believe that five lessons — real, imagined, and not-quite-clear — will be gleaned from the experience. 1. Proceed with caution when predicting the future. In last year’s US Presidential election, statistician Nate Silver made fools out of all those television pundits who privileged “gut feeling” over quantitative analysis. But sometimes even the data geeks get it wrong. So what happened in British Columbia? Did voter support swing at the last minute? Did New Democrats fail to get out their vote? Were there methodological problems with the polling? All we can say for sure is that the political landscape is littered with failed predictions (albeit rarely so shocking as last night’s), and that in the future, partisans and non-partisans alike are probably better off displaying greater humility when speaking of what is yet to come. This is a very depressing development. 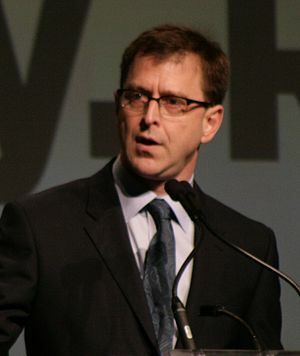 Early on, NDP leader Adrian Dix admirably vowed to run a positive campaign, and although that strategy began to shift in the final days, his team never attempted anything on the scale of the unrelenting attacks unleashed by Premier Christy Clark and the Liberals. While negative campaigning can sometimes backfire, it appears to have worked this time around, as the Liberals successfully tapped into the sizable block of BC voters susceptible to red scare tactics. All the Premier had to do was remind us of secret NDP plans to steal our hard-earned tax dollars and distribute them to greedy union bosses, or something to that effect, and BC’s “free enterprise coalition” dutifully flocked into action. If I were inclined to ignore lesson #1 above, I would predict an NDP emulation of this campaign style for the next several elections. 3. Campaigning on the environment doesn’t work. This is even more depressing — and not necessarily accurate. But in politics, it is perception that matters. During this election, the NDP adopted a moderately progressive environmental platform. The strategy evidently did not pay off. Conceivably, the problem may have been that its environmental policies did not go far enough; perhaps a more stringent stance, like opposition to LNG, might have chipped off a few extra Green votes and energized the party’s base. But New Democrats are most likely drawing a different conclusion. I predict (again, with all due humility) that in the next election, the NDP will focus more on capturing the ideological territory of the Liberals than the Greens. But there are different strategies to consider. 4. The NDP and the Greens must cooperate. This call is likely to grow louder over the coming months and years, but electoral cooperation won’t be easy to implement. Green Party support comes from across the political spectrum — more so from the NDP than the Liberals, to be sure, but not overwhelmingly so. Plus, it is hard to determine exactly how Green and NDP transfers of support would break down on a riding-by-riding basis. But while such a scheme is not guaranteed to succeed, neither is it guaranteed to fail. A pre-election alliance in targeted ridings is at least worth further exploration. And with Jane Sterk’s probable impending departure from the Green Party leadership, possibly to be replaced by new MLA Andrew Weaver who said he would prefer an NDP to a Liberal government, bad blood between the two parties may yet diminish. 5. It’s now up to civil society. Regardless of what happens in 2017, BC will spend the next four years governed by a party that believes itself to have a mandate for pipeline ambiguity, LNG development, and climate inaction. Environmental and social justice groups must mobilize to demonstrate to the government that its priorities for the province are not embraced by the majority of voters who wanted someone else. “Well, that was easy,” Christy Clark joked in her victory speech last night. It is now up to all of us to make sure that the next four years are anything but. In the wake of the NDP’s Earth Day announcement unveiling its environmental platform in Kamloops, BC’s environmental movement has been falling all over itself in praise of the party sure to form the next provincial government. Environmentalist Tzeporah Berman, a vocal NDP critic in the last election, has now offered her enthusiastic endorsement of the party — this in addition to previous votes of confidence of a more qualified nature from the likes of Mark Jaccard and Rafe Mair. And let us not forget former Sierra Club BC executive director George Heyman, who is running as a candidate for the NDP in Vancouver. The Kinder Morgan proposal as we understand it, would dramatically transform what that pipeline does and would dramatically transform the Port of Vancouver. The Kinder Morgan pipeline would become a pipeline designed for oil sands bitumen export, with [sic] increasing dramatically the barrels per day passing through the Port of Vancouver via tankers. We have to wait to see a formal application, but I don’t think that the Port of Metro Vancouver, as busy and as successful as it is, should become a major oil export facility. We will conduct a made-in-BC review of the Kinder Morgan proposal and decisions will be made here in BC. Our position is clear: we do not believe any proposal should transform Vancouver into a major port for oil export. Read over that statement again. If Adrian Dix had wanted to pledge explicitly that an NDP government would block Kinder Morgan’s application, then he would have done so. But he and his team are choosing their words carefully. Without doubt, the party’s increasing negativity of tone with respect to the pipeline proposal is reducing the future government’s wiggle room (and environmental groups are right to celebrate this small victory), but some room for manoeuvre does remain. This fine line being walked by the NDP is reflected on other environmental issues as well. In contrast to their Kinder Morgan position, Dix and co. are unequivocally opposed to the more well-known Enbridge pipeline proposal. They also favour a ban on cosmetic pesticide use. They have promised to broaden BC’s carbon tax to some (not all) currently exempt industrial emissions, and to devote a portion of its revenue to initiatives like public transit, but they will not raise the tax rate. On natural gas, they are calling for a review (not a moratorium) on the practice of fracking, but their position on liquefied natural gas development and export is otherwise mostly indistinguishable from that of the Liberals, despite evidence that BC will fail to meet its greenhouse gas reduction targets if current plans go ahead. The NDP has certainly come a long way since its “axe the gas tax” campaign of 2009 (and an even longer way since Premier Glen Clark called environmentalists “enemies of BC” in 1997). Without question, New Democrats are now miles ahead of the governing Liberals on environmental policy, and their announcement in Kamloops yesterday is justifiably greeted with cautious optimism. But now is not the time to ease up the pressure. Environmentalists must remain vigilant against all who seek power. In fact, barring some truly spectacular flip-flops over the next three weeks, enterprising voters would do well to remember that there are more than just two parties competing for their votes on May 14.